Zailab is a next-generation cloud-based contact center platform. We create a solution for businesses of all sizes, particularly SMB teams looking for a cost-effective way to personalize routing, improve customer interactions and increase efficiency. Zailab is changing the way you set up, handle and pay for your conversations. Our platform is quick and easy to set up and optimize as needed. With the use of AI, Zailab is able to route and prioritize interactions from any channel, any time. 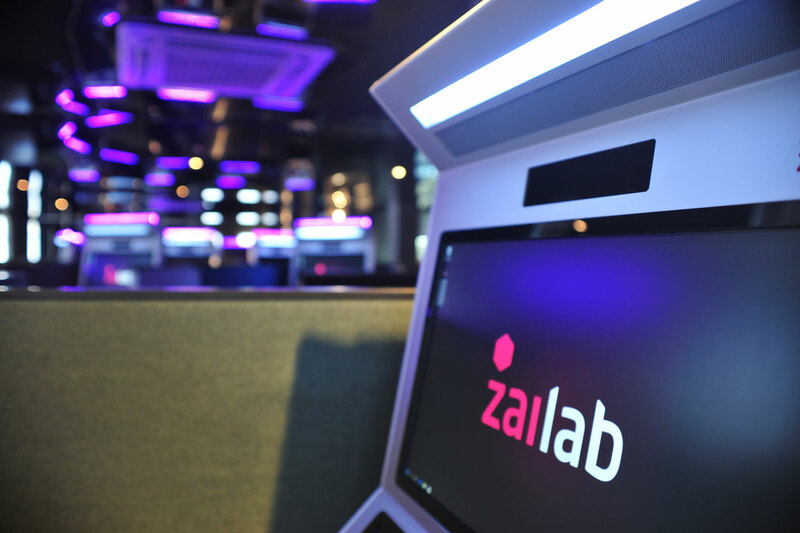 Zailab’s consumption-based model empowers you to pay only for the features you use, as you use them – no monthly licensing fees and no upfront costs. It’s time to start having more rewarding conversations. Nour Addine Ayyoub is an entrepreneur’s entrepreneur. A technophile from the first – Nour Addine taught himself programming as a child – he built a piece of software that dominated unsecured lending in South Africa. He started Zailab with the certainty that he could do the same for contact centers. With nearly two decades of experience, Ahmed is a veteran of the software world. He joined Zailab following a successful stretch consulting in the fields of banking, insurance, healthcare and trading. Ahmed has the rare ability to pull large, diverse teams toward a complex common cause. Catherine is a neuroscientist and business analyst extraordinaire. Having followed Nour Addine from Old Mutual Finance, Catherine is responsible for Zailab’s product direction at the highest level. Her rigorous approach and ability to balance a sprawling backlog are truly extraordinary. Steve has over 20 years of finance and operations experience, primarily with emerging, venture capital–backed technology companies. His experience in fundraising and managing growth is instrumental in helping implement Zailab's entry into North America. Michael has 25 years of sales, marketing, and business development experience. He draws on a diverse background in both direct and indirect channel sales in competitive, high-tech marketplaces. His energy, contacts, experience and ability to strategically execute bring immeasurable value to Zailab in North America. Marya is responsible for global marketing and partner programs, brand management, and sponsorships. Prior to joining Zailab, she worked in strategic partner marketing and enterprise sales in the SaaS realm. Marya's creativity, drive, and strategic leadership are prime enablers in Zailab’s global expansion. Zailab acquired XYZ Design in 2015, and in the process won itself a globally celebrated industrial designer. Roelf has spent 40 years amassing a spectacular portfolio of achievements – some of which have been exhibited by MoMA. He and his team are responsible for Zailab’s remarkable DNA.